This certainly adds a new wrinkle to the game. Here’s to hoping Clint has a breakout game and a Heisman like season! So much for consistency at the quarterback position. West Virginia head coach Dana Holgorsen said on his weekly radio show Thursday night that Ford Childress is injured and will not play this weekend against Oklahoma State. Junior Clint Trickett will get the start in his place. Just two weeks after announcing that Childress would be his starting quarterback on his radio show, Holgorsen again made a major revelation regarding his offense just two days prior to kickoff. According to Holgorsen, Childress developed a problem in his arm with a muscle tear and did not practice all week. During his Tuesday press conference, Holgorsen was asked why his most experienced quarterback, Trickett, had not gotten more than the six snaps he took in week one despite real struggles on offense. 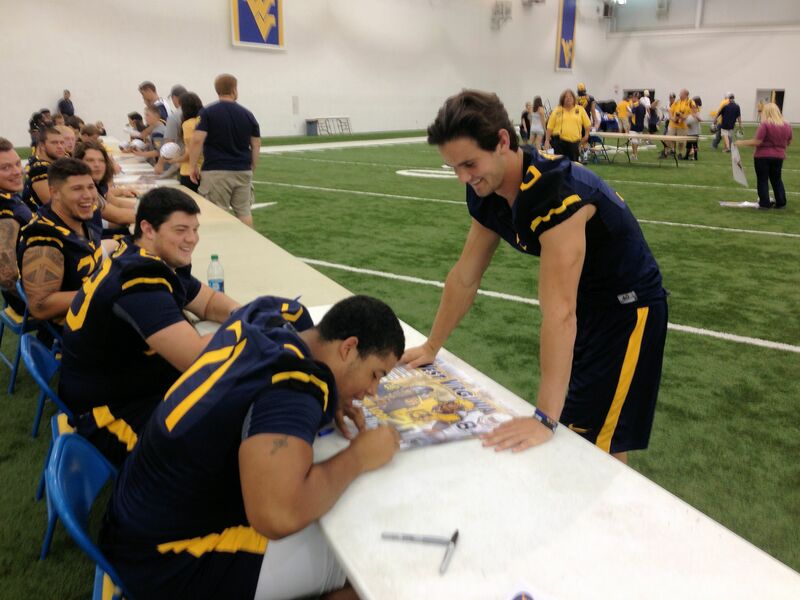 Pat White not a Dana Holgorsen Fan?